In our newsletter this summer, we shared books recommended by Brian C. Anderson, City Journal editor and host of City Journal's 10 Blocks Podcast. 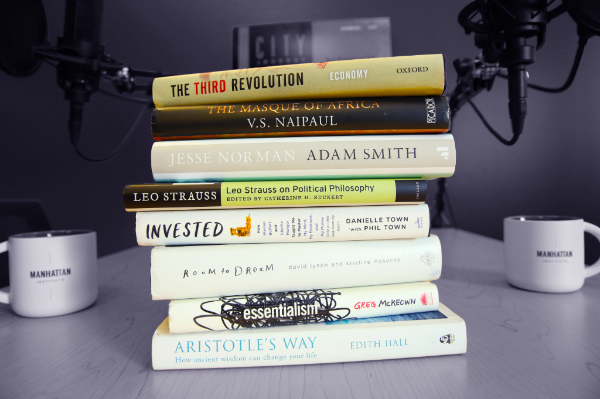 In an August episode with Manhattan Institute executive vice president Vanessa Mendoza, Anderson shared a list of seven books that range from Adam Smith to V.S. Naipaul. Explore this unique list below, and listen to the full episode here. V. S. Naipaul died last month. Read his 1990 Manhattan Institute lecture, Our Universal Civilization. George Gilder gave the 1999 Wriston Lecture for the Manhattan Institute, titled "Political Principles of the Telecosm."